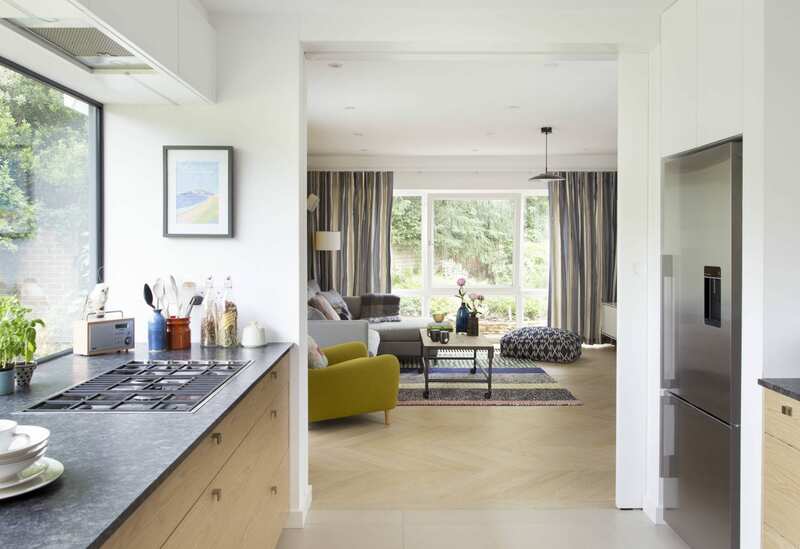 As part of the overall house renovation, we relocated kitchen area to previous dining room by creating an opening in the wall we linked the kitchen with the living room. To embrace the beautiful garden view, we introduced a large double-glazed panel – bringing the outside, inside. 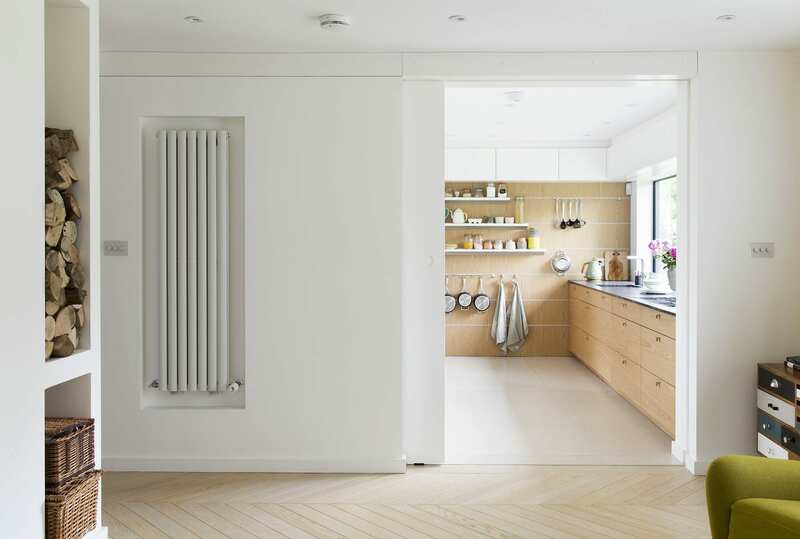 The Scandinavian style of the kitchen, enhance the natural feel of the space. Large sliding door between the rooms add flexibility and separate the spaces. 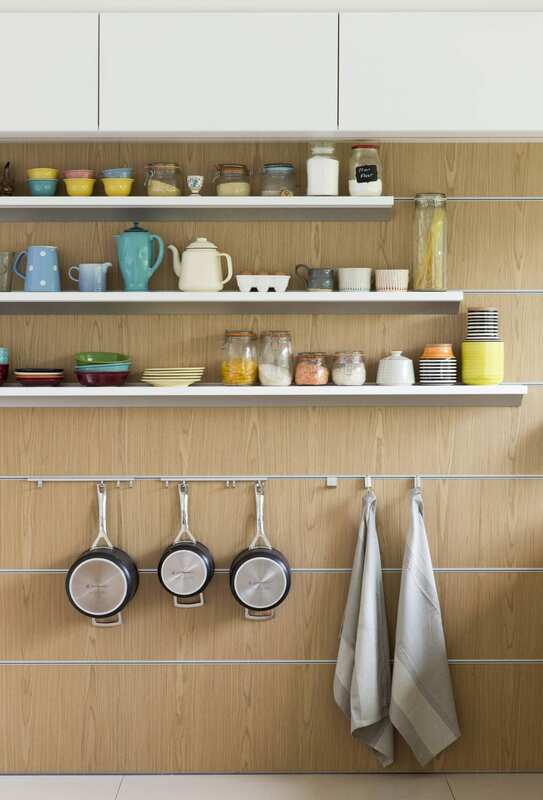 Open shelving and a flexible hanging solution creates a laid back feel in this kitchen. 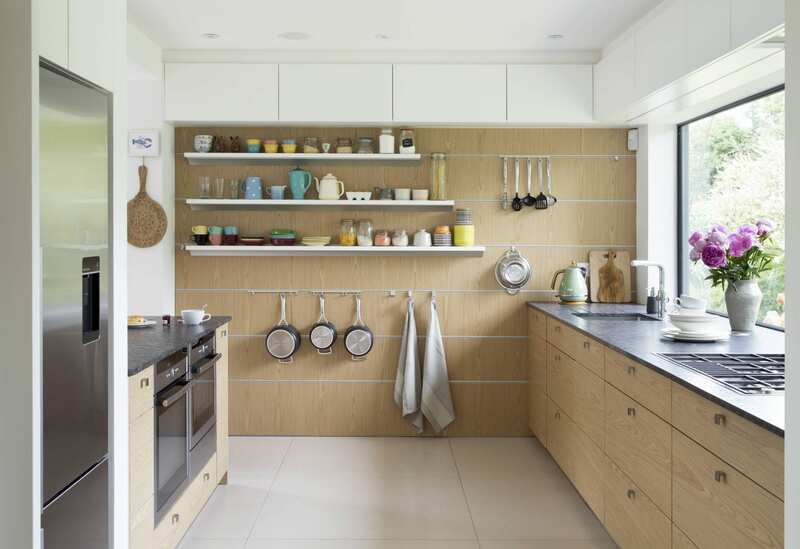 The client's colourful collection of kitchenware works perfectly against the wood finish tiled panelled walls.